It's Halloween already, how wicked is that?! 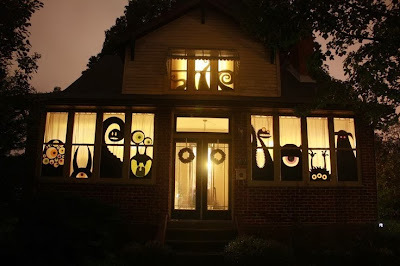 Having a party or trick or treat-ing kids coming around and you have no decorations yet? Here are some last minute ideas, how you can turn your place a bit spookier without spending much money or time! 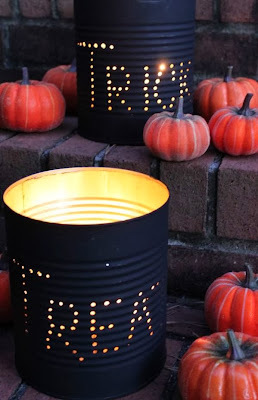 punctuate cans with a screwdriver and spray paint them black, put a candle in them and voìla! 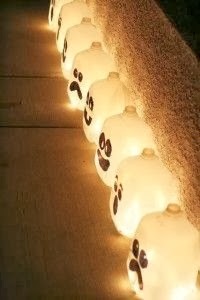 Paint faces with a permanent marker on empty milk gallons and stuff a chain of lights or tea-candles in them. 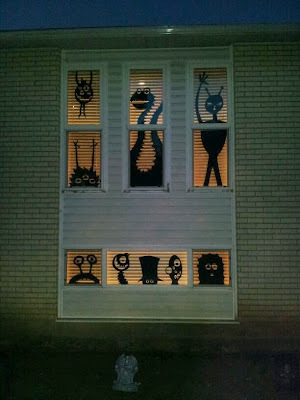 Cut out monsters out of cardboard and put them against your window and leave on the lights in your room! Cut out monsters out of cardboard and put them against your window and leave on the lights in your hallways! 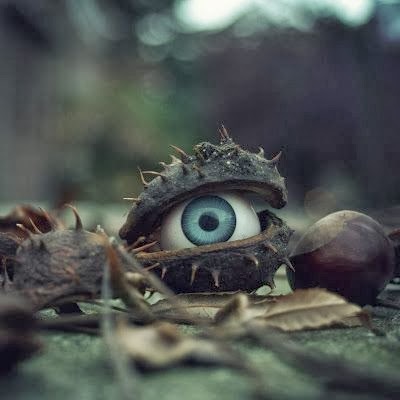 My favorite: Put a doll-eye in an empty chestnut peel and put them somewhere for decoration!